We’re excited to introduce Eggplant Release Insights, a new product designed to gauge the quality of a product or website. Rather than using arbitrary metrics, such as 97 percent of the tests pass, Eggplant Release Insights combines data generated by Eggplant AI with data from across the rest of the CI/CD pipeline to evaluate release quality and its impact on the user. 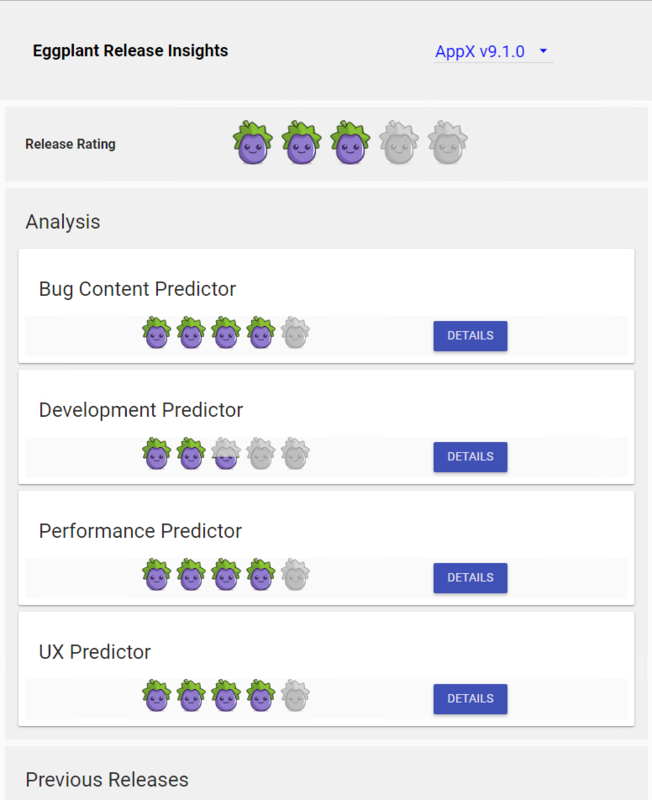 By using Eggplant Release Insights for any given product release or update, you’ll get an upfront summary of the status of the release in the form of a rating between zero and five Eggplants. The rating comprises an aggregated summary of the individual predictors that assess the quality of the release. And the overall release rating gives you an instant view of current status. Bug Content Predictor anticipates the expected, relative number of undiscovered defects based on the development and test assets. It uses an internal metric of undiscovered defects per thousand lines of code to assess all aspects of the build process, including the quality of the requirements that define the feature being checked in. Development Quality Predictor is designed to assess the quality of the whole development process and identify the key risks that impact quality. It helps determine the largest risk factors — such as behaviors like small or large check-ins or use of specific languages — present within the current release and assess their impact. 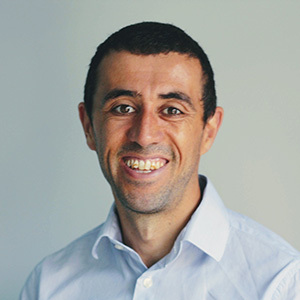 Test Coverage Predictor uses coverage data from regression and exploratory tests to provide an assessment of the level of coverage on the current product. Performance Predictor helps analyze the performance of the current release, identify any bottlenecks and place them in the context of the entire release. Within each of these predictors, you can drill down to explore some of the analysis in more detail. We also support integration into other visual analysis systems (such as Tableau or Power BI) for custom reporting. Usability quality predictor analyzes the UI under development and assesses its usability via a wide range of usability heuristics. This provides a user-focused metric of how usable and consistent the current release is to use. See how Eggplant Release Insights can help you predict the business impacts of your release. If you’re an Eggplant customer, you can download it now. If you’re not a customer, you can check it out by requesting an Eggplant AI trial license. And, you can always get more info on our website. We always welcome feedback, so if you have any, please share in the comments section below.